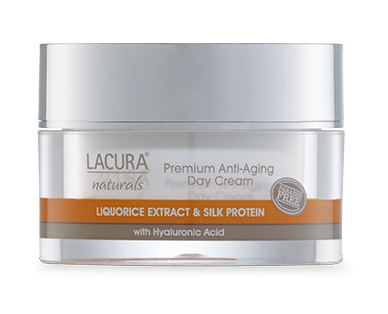 The LACURA® Naturals Anti-Aging Day Cream is a non greasy, light moisturising day cream. Contains unique blend naturally derived active ingredients such a liquorice and olive derived squalane to soothe and moisturise the skin and help protect against environment influences. Contains anti-aging hyaluronic acid to help minimise the appearance of fine lines and winkles.